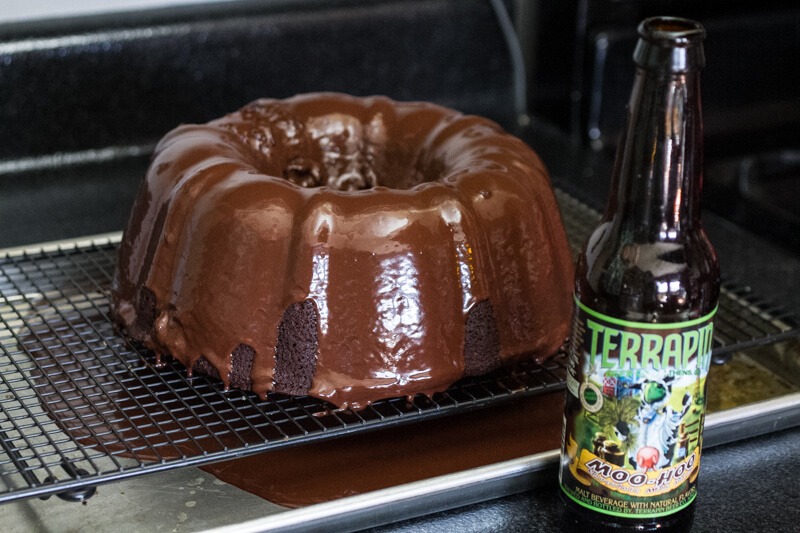 Use your favorite chocolate stout (or porter) beer to make this dark chocolate stout cake with ganache drizzle! Perfect rich, chocolatey dessert. Scroll down for video! Chocolate stout cake was born out of my husband’s request for me to make more food with beer in it (I’ve mentioned that before a time or two). This was actually his suggestion. 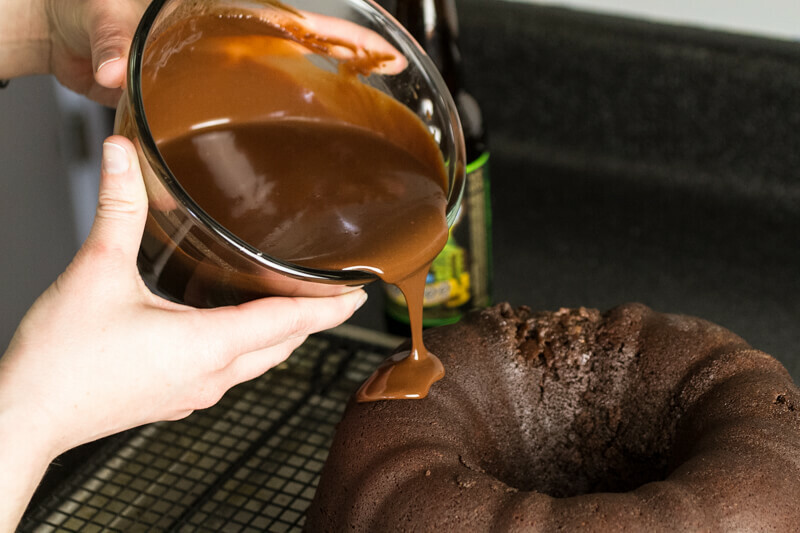 The Cook’s Illustrated Baking Book (<–affiliate link) provided the perfect starting point with their chocolate sour cream bundt cake recipe (and a wonderful tip for “greasing” the pan with butter and cocoa), and the Beeroness gave me a wonderful ganache recipe. 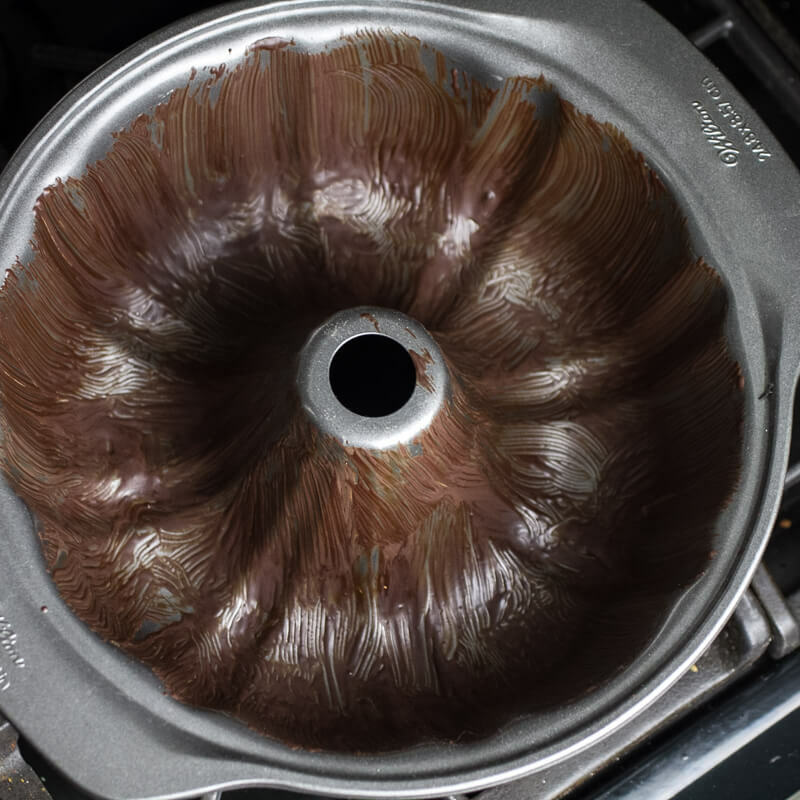 By the way, I’ve decided that bundt cakes are every bit as easy sheet cakes, and when icing just involves heating, stirring, and pouring, that’s a win. Few things make me happier than an easy chocolate cake recipe. I hope that you guys love this one as much as I do! This post contains affiliate links. That means that if you click the link and make a purchase, I will receive a small commission. This does not affect the cost to you. For more information, please see my disclosures. Thank you for supporting my blog! 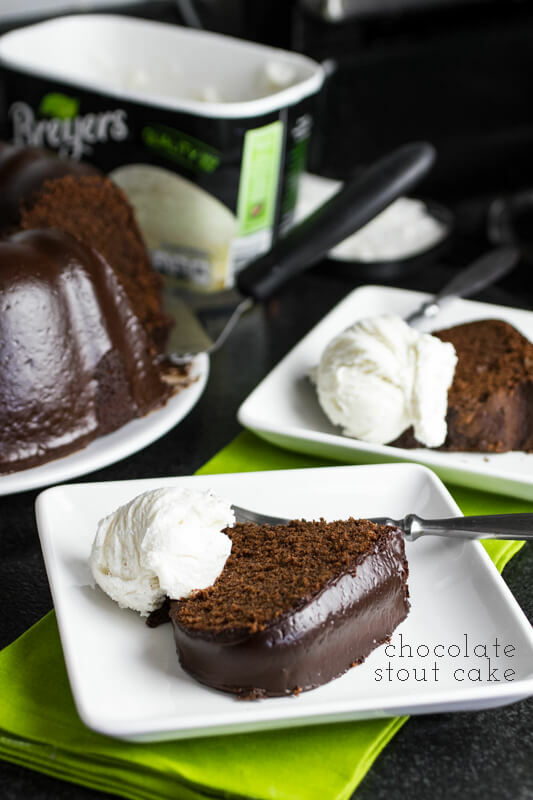 Click here to save this recipe to your Pinterest chocolate and baking boards! Combine the remaining cocoa with the 6 ounces of chopped chocolate. Heat the 3/4 cup stout to nearly boiling. Pour over the chocolate mixture and allow to stand for five minutes. Stir until smooth, then stir in the sour cream until completely combined. Whisk the flour, salt, and baking powder together in a small bowl. For ganache: Set the cake on the wire rack over a baking sheet. Place the 2 cups of chocolate into a bowl. 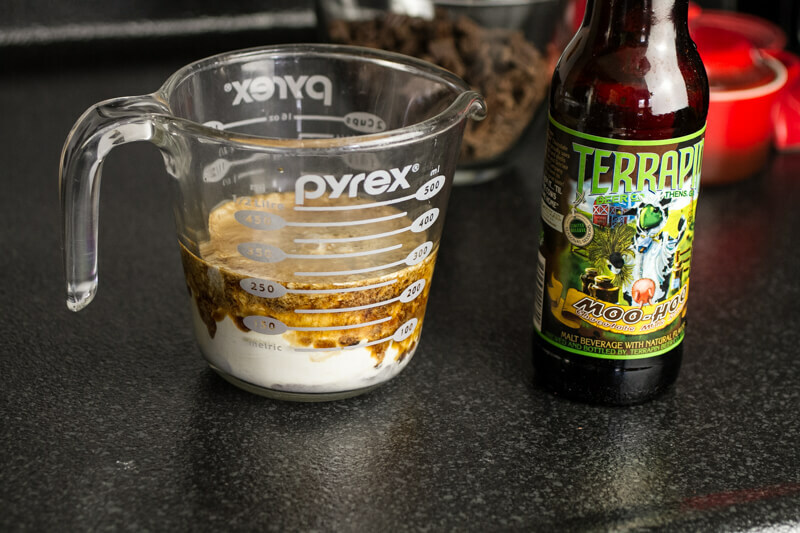 Heat the cream and remaining stout until nearly boiling. Pour over the chocolate and let stand for five minutes. Stir until smooth. Let stand for thirty minutes to allow it to thicken. Pour over the cake, allowing it to drip down the sides and the center. The excess will collect in the pan and can be reserved for another use. 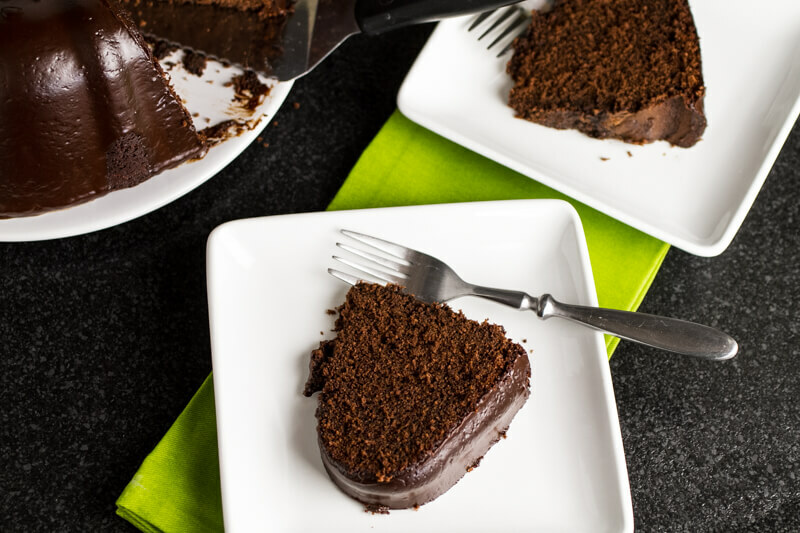 Allow the cake to stand for 15 to 30 minutes to allow the ganache to set before serving. Most pumpkin angel food cake on the interwebs is made from a mix, but my pumpkin angel food cake is from scratch, and it is fabulous! Scroll down for video! How bizarre is it that I have to denote pumpkin angel food cake from scratch? One might assume that this would be implied, but one would be wrong. When I first thought (because I had a bag full of egg whites in my freezer, meticulously frozen one by one in ice trays as I used the yolks for other applications as well as a cup of pumpkin left over from making my signature pumpkin-banana-chocolate chip muffins) of making a pumpkin angel food cake, I began perusing the interwebs for recipes to inspire my recipe to no avail. Every. Single. Recipe. that I found called for a box of angel food cake mix. Are you kidding? Look, there’s something that I know about angel food cake: beaten egg whites are fragile at best, temperamental at worst. You just have to, as Julia Child put it, have courage. Maybe you know the secret to beating a heavy, wet ingredient into your angel food cake batter and still turning out an impossibly tall confection with the pumpkin perfectly evenly distributed throughout the tight crumbs of the cake. Me, however….well, I just decided that I was okay with the fact that this cake was not likely to be as tall as a plain angel food cake (it isn’t, though the height is still impressive) and that a pocket of pumpkin here and there was not a problem-in fact, it lends a lovely hint of just exactly what that mysterious ingredient is that adds a deep but not obvious flavor and a slight tinge of an orange color. I was also okay with the fact that my slightly more moist than your average angel food cake stuck to the pan a little bit, leaving a hole that I promptly cut out with my first slice. Of course, pumpkin-based desserts are a traditional Thanksgiving offering, so I am sure that you are not surprised that I am giving you this pumpkin angel food cake recipe in November. Traditional Thanksgiving desserts tend to be thick, dense, somewhat heavy, as in the syrupy sweetness of pecan pie (Philip’s poison of choice and something that I had to learn to make for him) and the thick custard of the ubiquitous pumpkin pie or a sweet potato pie. 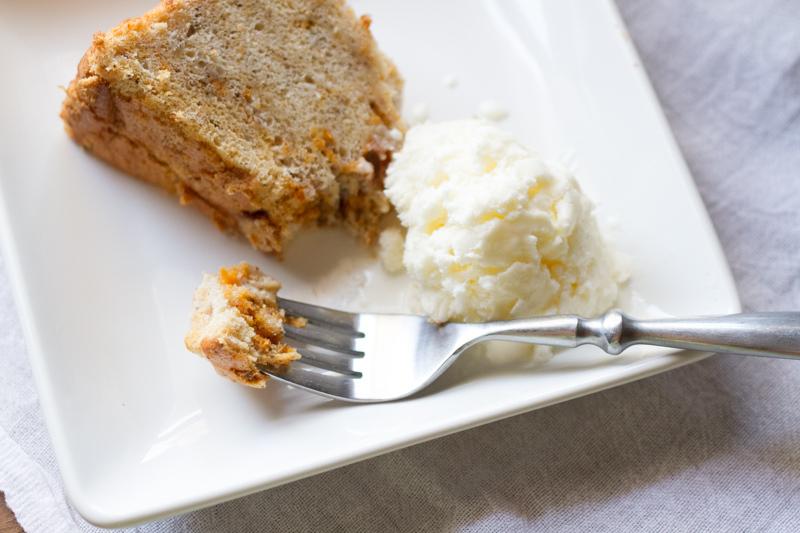 I hope you love this from scratch pumpkin angel food cake! Click here to save this recipe to your Pinterest Fall Baking and Pumpkin boards! This recipe is adapted from America's Test Kitchen . Preheat the oven to 325 degrees. If you are using a tube pan that does not have a removable bottom (do these still exist??!?!?! ), line the bottom of the pan with parchment paper. Whisk 3/4 cup of the sugar and the pumpkin pie spice or Chinese five-spice powder with the cake flour in a medium bowl. Whip the egg whites and the cream of tartar together over medium-low speed in a stand mixer for about a minute, until foamy. Increase the speed to medium-high and whip until puffy, about a minute, then add the salt and the remaining sugar a tablespoon at a time. Whip until soft peaks are reached. Remove from the stand mixer and gently whisk in the lemon juice by hand. Sift the flour/sugar mixture over the egg whites 1/4 cup and a time, gently but thoroughly folding in with a silicone spatula after each addition. Now, add the pumpkin puree 1/4 cup at a time, taking great care not to deflate the egg whites as you are folding. You will end up with a few pockets of pumpkin throughout the batter-that's okay. Carefully scrape the batter into the prepared tube pan. Tap the bottom of the pan against the counter a few times to settle it. Place in the oven for 50-60 minutes, until golden brown and springy. Remove the cake from the oven and immediately invert. 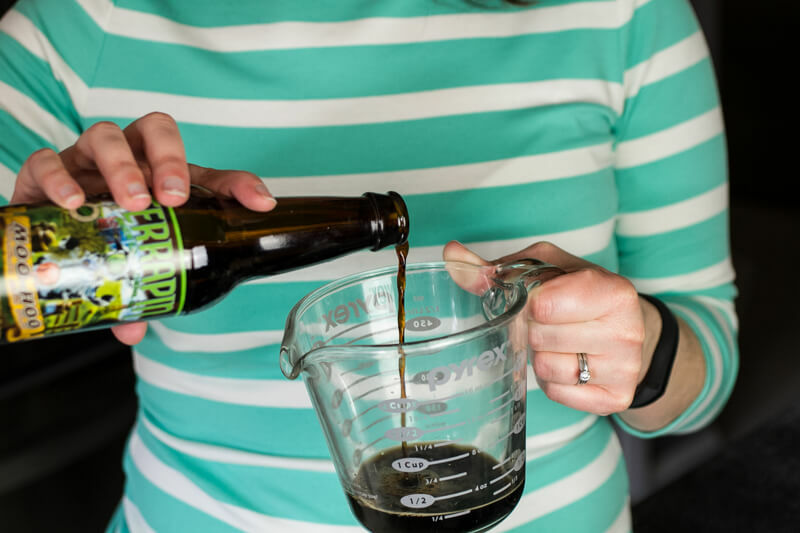 Most tube pans have "feet" or the center portion is taller than the edges allowing the pan to stand off of the counter, but if yours does not place the center of the pan over a sturdy bottle. Cool like this for at least three hours before removing from the pan. This step keeps the cake from deflating as it cools. 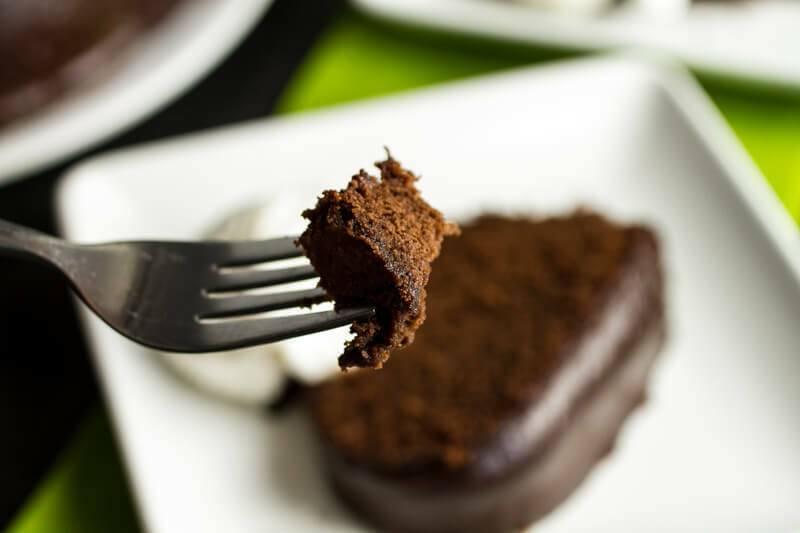 Run a thin knife or spatula around the edge of the pan to loosen the cake, then (assuming your pan has a removable bottom) push the bottom out of the pan and run the knife/spatula under the cake and around the center to loosen the cake from the base. Serve at room temperature. A tube pan is essential to making this cake. Any other pan will not allow the cake to "climb" and reach the height that an angel food cake should reach, resulting in a squat, dense cake. You can buy an inexpensive tube pan at any store that sells home goods. It's worth the investment. Hummingbird sheet cake transforms a slightly fussy classic Southern cake into something easy and portable yet still SO delicious – and pretty. Scroll down for video! Being a Type A perfectionist and a blogger with a full-time job are things that are sometimes at odds in my life. 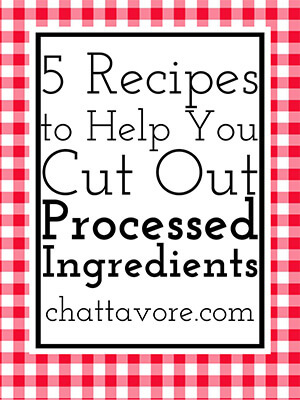 My time is limited, and sometimes if I know a recipe is good I just want to get it up here to share with you guys. That means that my photos aren’t always perfect, but sometimes I just don’t have the time, energy, or, honestly, desire to retake the photos before I put them up here. I hope you guys will forgive me. Another thing is that in the frenzy of beautiful images that I am surrounded by every day on blogs, Pinterest, and Instagram I sometimes start to feel like my recipes aren’t enough. Like, if I can’t put lavender or goat cheese in all the things then I probably shouldn’t share them. Or if I can’t make the prettiest deconstructed and perfectly lit bowl meal then I lose👎🏼. Oh boy. We’re our own worst critics, right? Seriously, no one has ever criticized one of my recipes for not being pretty or fancy enough (it’s probably coming now that I’ve put it out there. Oops.). I listen to a few podcasts for food bloggers and one of the things I’ve heard recently is that we need to blog for our audience, not for other bloggers. That hit me like a splash of cold water in the face. I realized that thinking that everything I post has to be vegan, Paleo, and artfully arranged in a handmade ceramic bowl being held in front of a window by a European hand model was not based on any preference that a single one of my readers has ever expressed to me. It’s based on the things that I think are pretty on Instagram but not the way that I cook, eat, or live or probably the way that the majority of my readers cook, eat, or live (the last handmade ceramic bowl I priced was like 70 smackers. If any of y’all have that kind of dough to spend on dishes, pass some my way). That’s where this hummingbird sheet cake comes from. 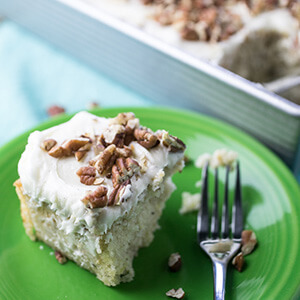 Hummingbird cake, with pineapple, bananas, and spices baked into a cake coated in a thick layer of cream cheese icing (💯) and toasted pecans, is one of my favorite cakes. But the first version I posted, while tasty and beautiful, was incredibly fussy. It broke while I was taking it out of the pan! While a perfect four-layer cake is what my overbearing perfectionist brain aspires to (and yes, I am perfectly capable of making it), a hummingbird sheet cake is what my tired, full-time job working, rest of the time blogging self finds realistic. And goodness, look at it. Is this hummingbird sheet cake really less pretty than this hummingbird layer cake? Personally, I don’t think so. That could just be because the approachability of Exhibit A is about 10000 times higher than Exhibit B. But I digress. They both taste equally delicious, and that’s really what matters anyway, right? So if you’re a little short on time (or even just a little lazy, which is just fine with me), hummingbird sheet cake is where it’s at! Shared on Weekend Potluck on Served Up With Love and Meal Plan Monday on Southern Plate. Preheat the oven to 350 degrees. Butter 9x13 baking pan and set aside. 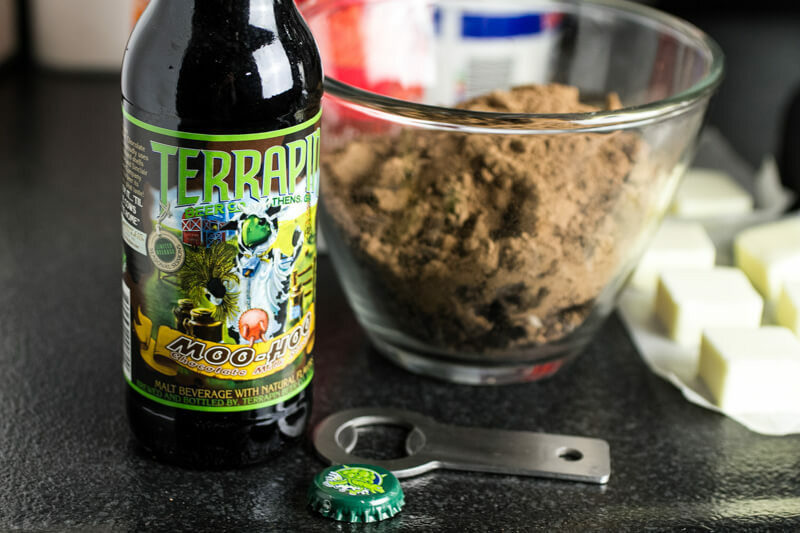 In a large mixing bowl, whisk together the flour, baking powder, baking soda, salt, and spices. In another medium to large bowl, whisk together the oil, eggs, and sugar. Stir in the mashed bananas, the pineapple, and one cup of the pecans (I did all of the mixing for this cake by hand...do not use a mixer. I also forgot to put pecans in the batter, and the world did not come to an end). Pour the wet ingredients over the dry ingredients and stir until just combined (it's fine if you have a couple of lumps of flour in your batter). Pour into the prepared baking pan. Bake for 40-50 minutes, until a toothpick or cake tester inserted in the center comes out clean. Cool briefly in pan then turn out onto a cooling rack and cool completely. Make the frosting: using a hand or stand mixer, beat together the cream cheese and the butter until well incorporated, then beat in the powdered sugar a little bit at a time, making sure that the previous addition is fully incorporated before adding more (going slowly will keep you from making a gigantic mess...like I did). Beat in the vanilla. To assemble the cake, spread the frosting across over the top of the cake and sprinkle the cake with one cup of toasted pecans.